nVent offers a wide range of pluggable power supplies and selection of open frame power supplies for open standards. 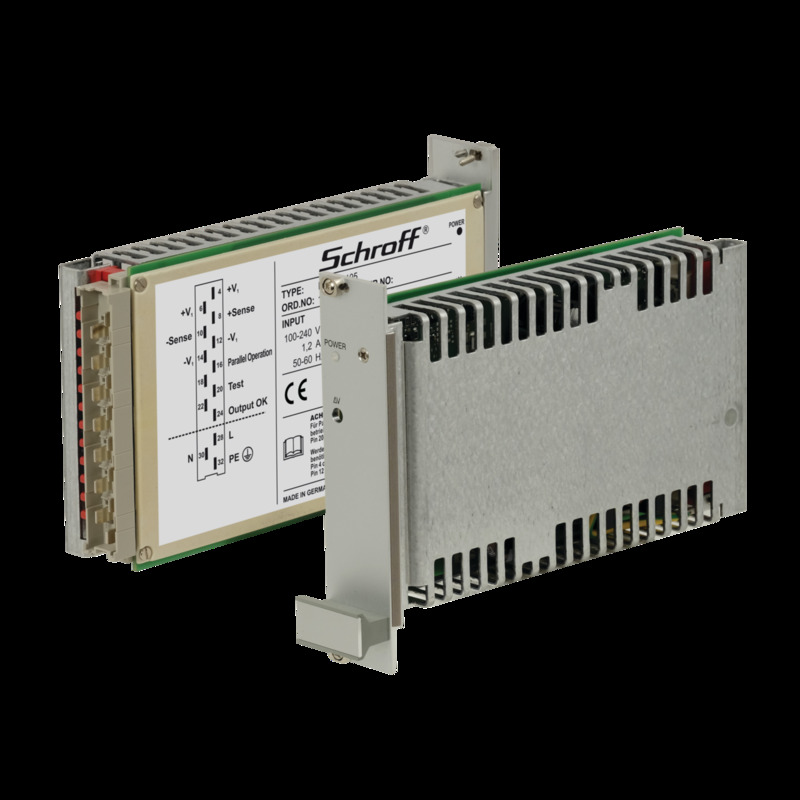 Broad product families of pluggable Power Supplies with H15 connector for fanless applications. A Power Supply converts a primary AC or DC voltage into one or more secondary voltages. nVent has a wide range of pluggable 3U Power Supply families with H15 connector for different use cases. The linear regulators are used for application which only allows a very low noise level at the outputs. The product lines Maxpower and Slimpower feature a wide range AC input and have 1 to 3 output voltages in a range of 40 to 180 W. The coolpower series features a wide range DC input. All those Power supplies do not need forced air cooling. For open standards dedicated Power supplies are needed with the specified output voltages, mechanical dimensions and in some cases with specified connectors. nVent has pluggable and open frame power supplies for VMEbus, VME64x, CompactPCI, CompactPCI Serial and MicroTCA in it’s portfolio.